Single or attached, married or unmarried, young or old – Can we all agree it’s fun to celebrate love and sweetness on Valentine’s Day? You may not be on board, I get it. It might be a bit more complicated and layered once you start to think about this holiday. Feelings can get hurt if expectations don’t match reality. 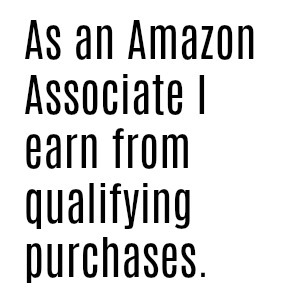 It may or may not just be a big corporate excuse to buy more stuff. Who likes being mandated to be super lovey-dovey if that’s not your jam? I, however, prefer to see Valentine’s Day through rose-colored glasses and enjoy the fact that we’re all allowed to get a little cheesy, mushy and silly with our family, friends and loved ones. No need to go out and buy a whole bunch of stuff, though! Here are 3 ways to enjoy Valentine’s Day in all it’s warm-and-fuzzy glory without feeling like you’ve been forced into a Hallmark nightmare. 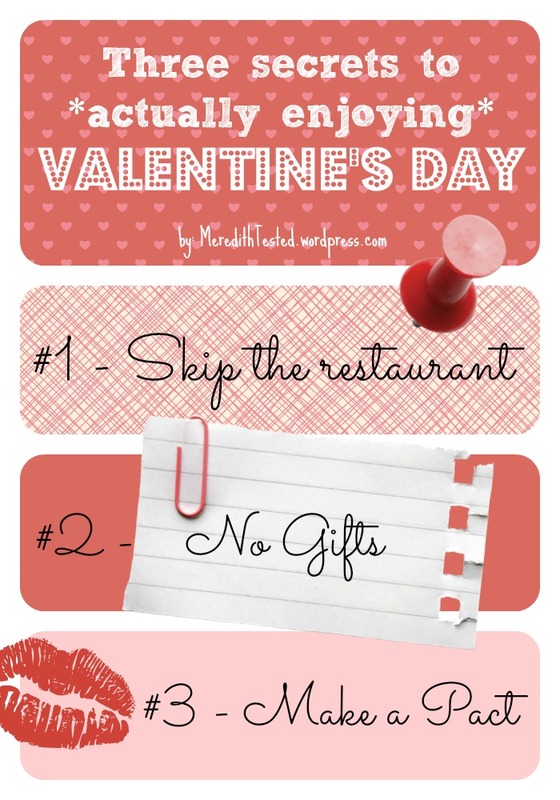 #1: Don’t go out to a restaurant. This pains me a bit to say this since I know lots of great people in the restaurant world who rely on sales boosts on holidays. However, I always skip going out on Valentine’s Day for two reasons. One, you may end up spending more money than you want to on a dinner you don’t really like. Many neighborhood eateries go for prix-fixe (fixed price menu) on holidays. And two, you might feel a lot of awkward pressure to have the most special-est amazing-est time filled with sparkling conversation and sparkling wine, just like allllll the celebrating couples around you. This goes for couples and groups of friends, y’all. Outside bad, inside good. Alternative: Make a special meal at home, together. Have a cookbook you’ve been admiring but haven’t actually cracked open? This is your chance to make that fancy meal with a zillion steps. If it works, out, great! You have just created a gourmet meal. Instagram the crap out of it. If it doesn’t quite go as planned, oh well, you still spent a fun night with your significant other (or friends) in the kitchen. My guess is that conversation and fun will flow easily in this environment. Seriously. I know it might be annoying to forgo another excuse to buy or receive a nice trinket from your honey (or your BFFs), but spending money on Valentine’s Day swag doesn’t really play into the real meaning of the day in my opinion. If you’re used to getting or giving flowers, perhaps switch things up and gift a plant that will last longer than the weekend. Alternative: Force yourself to write a love letter. On paper. (Ugh, homework? That’s the alternate suggestion? You’re fired, Meredith.) Whether you’re in a new relationship, have been together forever, or you’re celebrating the day with friends, it’s nice to show you care with words. If you’re feeling intimidated, fill up some space with a poem or passage from a favorite book. Romantic poetry need not apply – just anything that makes you think of the person in a positive, happy way. Have you ever noticed that everyone tends to save notes and letters? Sure, we all save e-mails but how often do we go back and read ones from 3 years ago? How about 10 years ago? Yeah, me neither. A letter (or a long card) can be so meaningful for the recipient with (relatively) minimal effort. I still swoon over nice notes my husband wrote me years ago. Even though his handwriting is practically illegible like an actual chicken wrote it. #3: Make a Valentine’s Day pact. It’s like a “New Year’s Resolution,” Valentine’s Day-style. Basically it’s a chance to make a declaration of how you’d like to do something differently in the coming year or something you’d like to challenge yourself to do. The twist is that you come up with the idea tougher (or as a group.) It could be “Let’s try to make giving each other a kiss the first thing we do every morning.” or “Let’s get together once a month for a crafting/wine/puzzle/makeup night.” or “Let’s promise to not turn the TV on one night per week.” Make it silly, make it simple or make it more complicated – just make sure you come to the decision together.